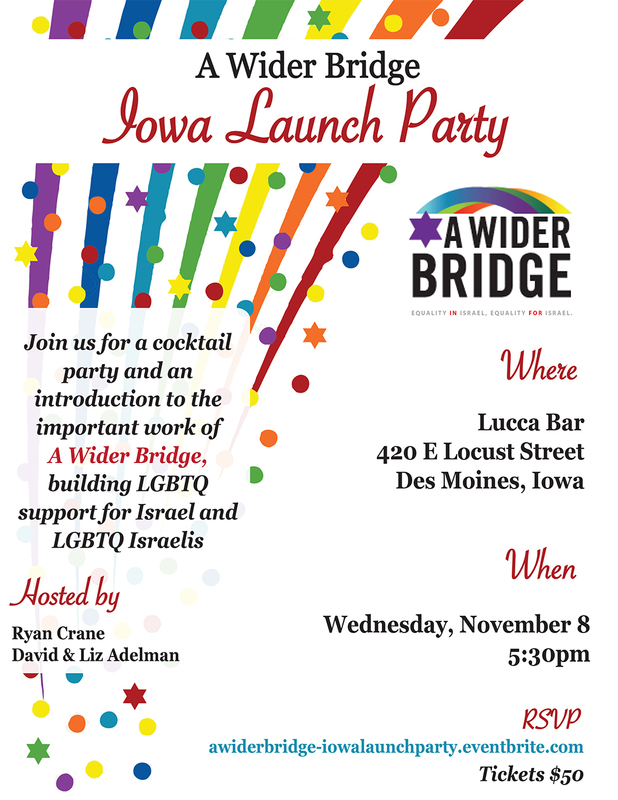 Host committee members Ryan Crane and David & Liz Adelman invite you to join us in Iowa for a cocktail party and an introduction to the important work of A Wider Bridge, building LGBTQ support for Israel and LGBTQ Israelis. 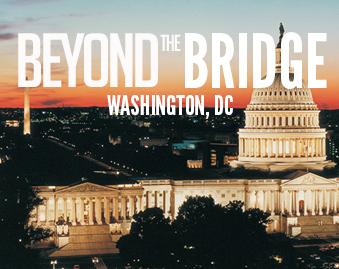 A Wider Bridge is looking forward to meeting Iowans who are interested in learning about our organization and LGBTQ life in Israel. We invite you to attend this event and learn more about us. Tickets are $50. Please RSVP on Eventbrite.